We've never seen a house as soft and serene as this one. The designers used the enchanting mix of white and peachy creams all throughout the house. There's hardly another colour anywhere and this simplicity allows other elements of design to shine. The textures and finishes on the furniture vary and create visual complexity. Shape, balance, and symmetry all have their parts to play in this simply elegant design. 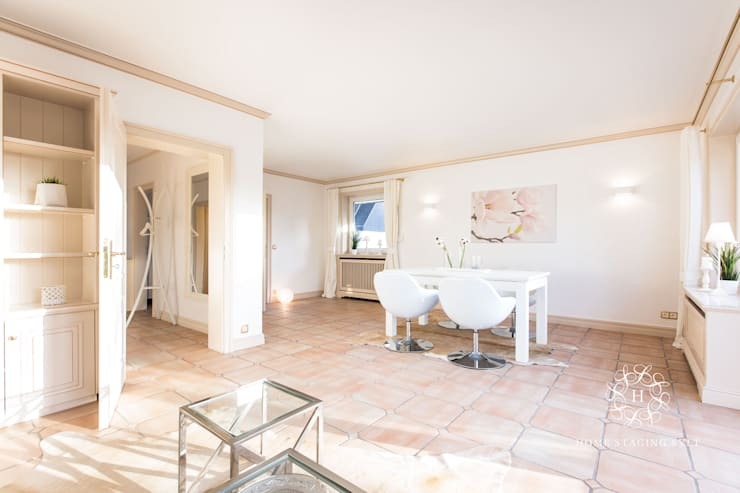 For a fresh scoop of sweet design ideas, join homify in exploring this home. 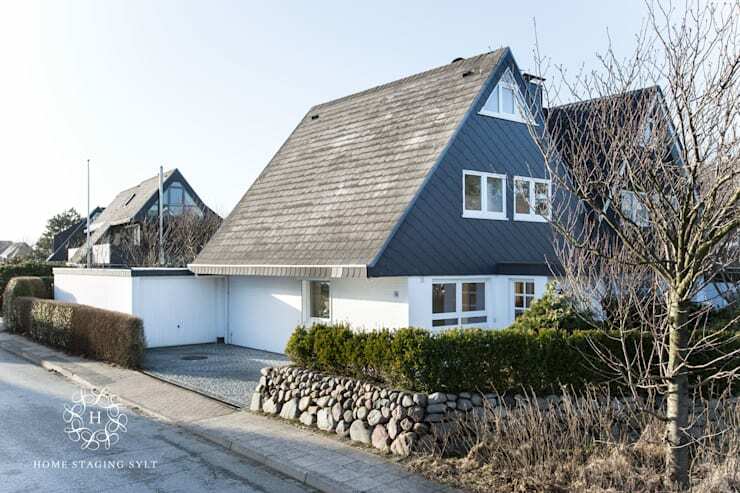 Located in a quiet German village, the house appears like any other on the block. 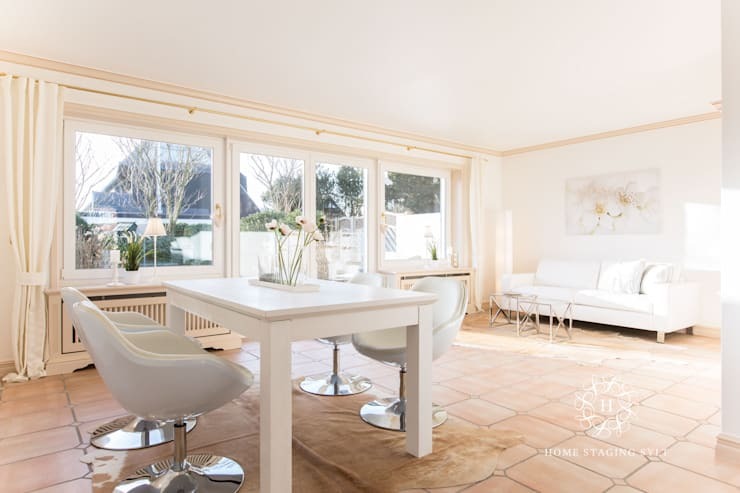 Interior design experts from Home Staging Sylt however completely transformed the interiors of this quaint cottage. The colours make for an intensely soft room. The white table, chair, and couch act as bright focal pieces that illuminate the space and draw out the richness of the cream tones used elsewhere. One of the darkest shades is on the floor, highlighting its adorable pattern and texture. The subtle change in texture to the rugs beneath the table and couches create a unity that draws together these spaces and makes them feel distinct from the rest of the open floor plan. From this angle we can see that the designers have chosen to take some interesting risks with their design. The trim is much darker than the wall, which can be a bad choice for some spaces as it makes the room look small and dark. Not here though. Instead, this creamy trim adds richness to the white walls, keeping the ceiling height defined and providing unity to the space. The second unique choice that the designers have experimented with here is the metallic finishes. Generally, metallic elements like the bottom of the chairs and the glass side tables would seem more at home in an industrial style. Certainly, most wouldn't consider using them in a room that was intended to feel soft. But here metallic elements serve as a much-needed texture that keeps the room from being too dull. The kitchen area has the simplest design, and it works to the advantage of the space. No one wants a cluttered kitchen, instead we want bright, clean kitchens that have ample storage. All of that has been achieved here. 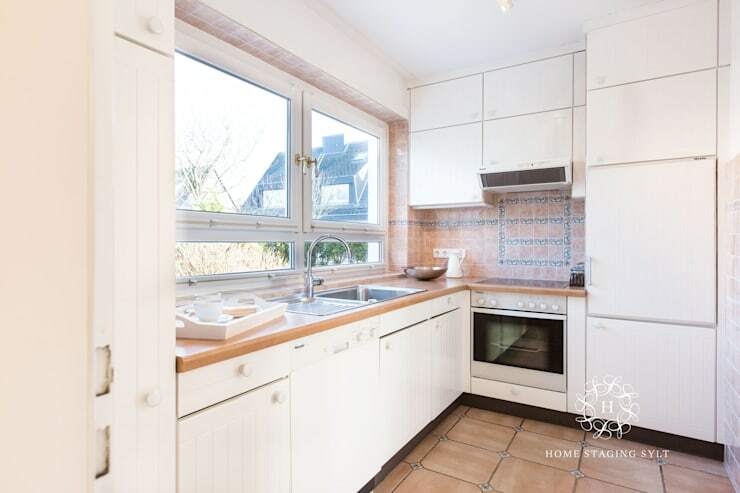 The huge kitchen window lets in natural light that is amplified by the white cupboards. The countertop was carefully chosen to match the peach palette the rest of the house enjoys. It is simple, but sweet. The bathroom has more flair than the kitchen. The tile pattern is cute and elegant, especially at the ceiling where it seems like peachy lace hung from the wall. The silver features apparent in most of the house have been replaced with golden ones here. This provides the bathroom with a warm glow. We especially love that little plant off to the right side. We rarely consider plants for the bathroom, but this little guy looks lovely. You can find more unique bathroom decor right here. For the private space the designers have decided to add a deep, sophisticated shade of black to the room. They've made this dark colour feel natural in the soft space by making the textures very soft. The carpet, comforter and chair are all have gentle fabrics with visible patterns. This is a very effective way to soften the impact of high contrasting colours. This room is also heavenly bright because of the almost transparent curtains on the glass doors and the vibrant light fixtures. 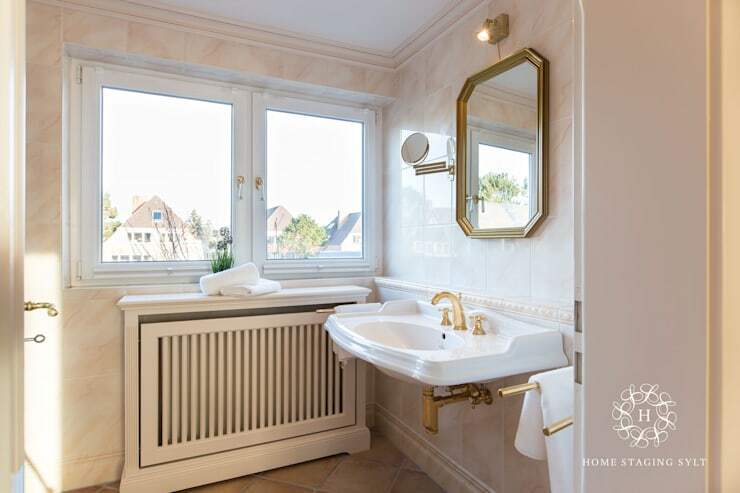 This bathroom has taken the golden fixtures and used them to a completely different effect. While the last bathroom was cute, this one feel regal and elegant. The marble walls, white sink, and unique mirror all contribute to a royal tone to the space. This feels like a powder room for a queen. The shade of peach that was chosen for this attic nursery is as soft as can be. 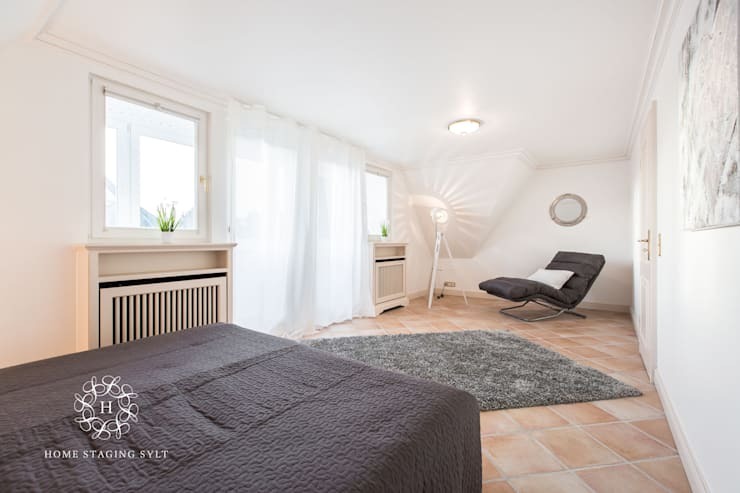 With the walls, ceiling, floor, and bed all in this shade the room feels unified and dream-like. The radiator is also very cleverly hidden with this use of colour (its under the window). The rocking chair is the only major colour contrast, and its simple white and deep wood feel just as comfortable as the peach. If you need more soft design inspiration you'll love these nine delightfully cute kitchens. 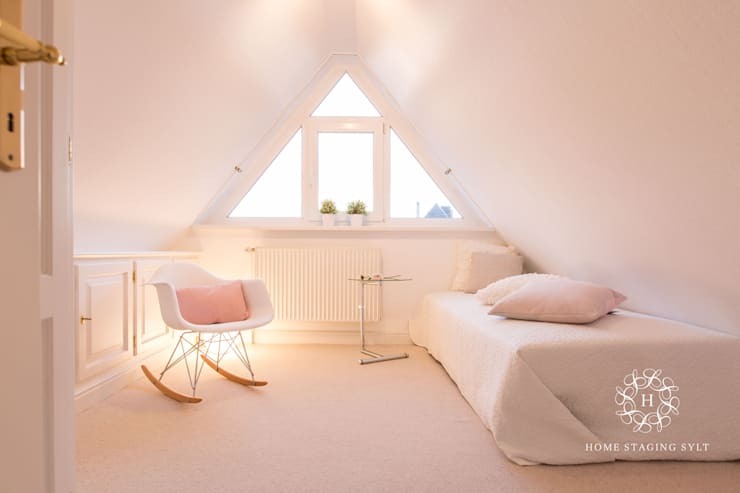 Which one of your rooms is best suited for this soft pink style? Let us know in the comments!